My favorite season is summer, hands down. 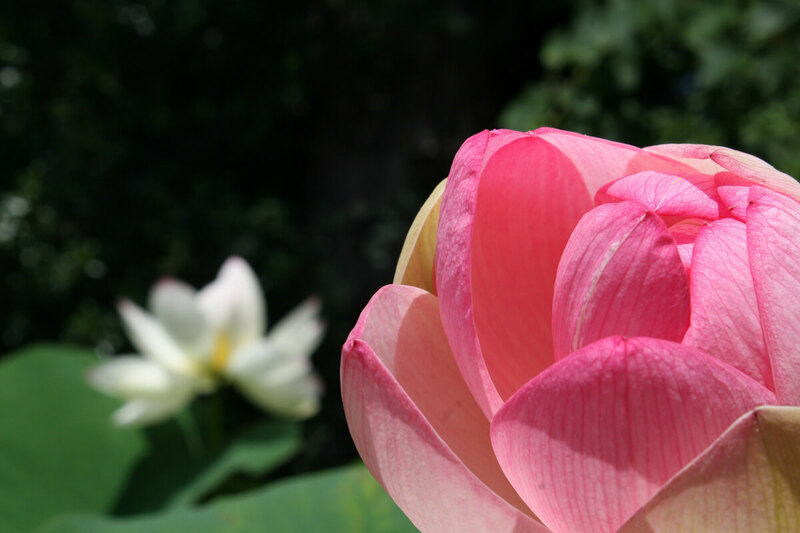 There is a liveliness and energy floating around everywhere, it is a treat to the eyes. I was sitting at my desk, looking out of the window and watching people walk by. This is when I received a message from my editor who asked me to find a few more spots in Bern with a view. I thought it wasn’t a great idea - it was a fantastic idea! Imagine a sprawling, five-acre garden located right in the heart of the city where you can read a book or nap on the lawn and not hear a thing... Hard to imagine, right? The Botanical Garden in Altenbergrain offers it all. I was surprised to walk around the garden and find so much quiet and calm. Some locals come here to admire the fauna and flora, while others come for a nap. I also visited the seven greenhouses and saw an array of plant species native to continents such as Asia, Africa and North America. Although grown in a controlled environment, these plants looked healthy and flourishing. I could not help admire the heart that people put in to make the botanical garden such a special place to visit. How to get there: You can walk from the Bern main station in the direction of Lorrainebrücke towards Altenbergrain, and in 12 minutes you are there! 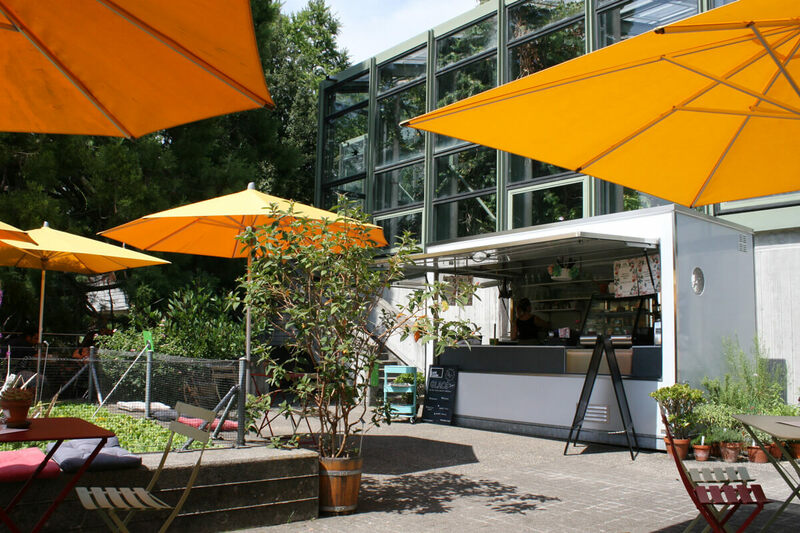 Alternatively, you can take bus #20 to Bollwerk and walk a few minutes to the garden from there. 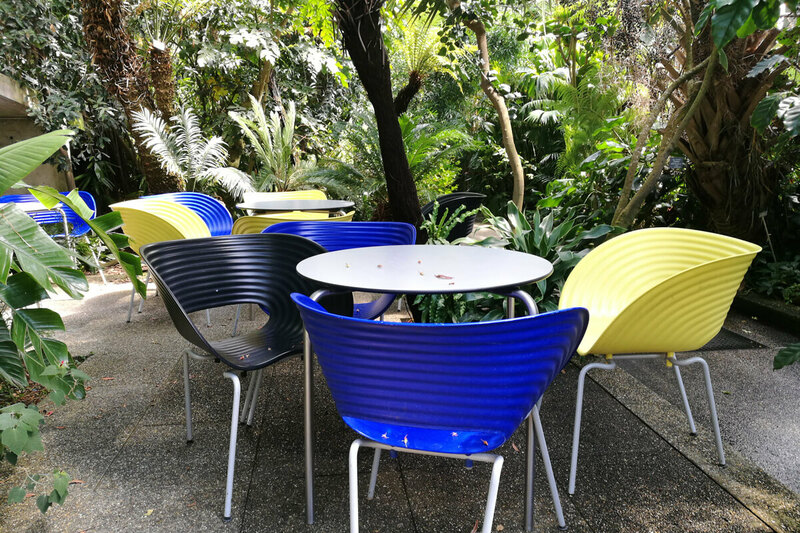 Located inside the botanical garden, Café Fleuri is as beautiful as the garden itself. It is a nice place to unwind and refresh yourself after a walk in the garden. Pick a seat outside and soak in some sun on a summer day. On a sunny day, Grosse Schanze is bustling with activity. 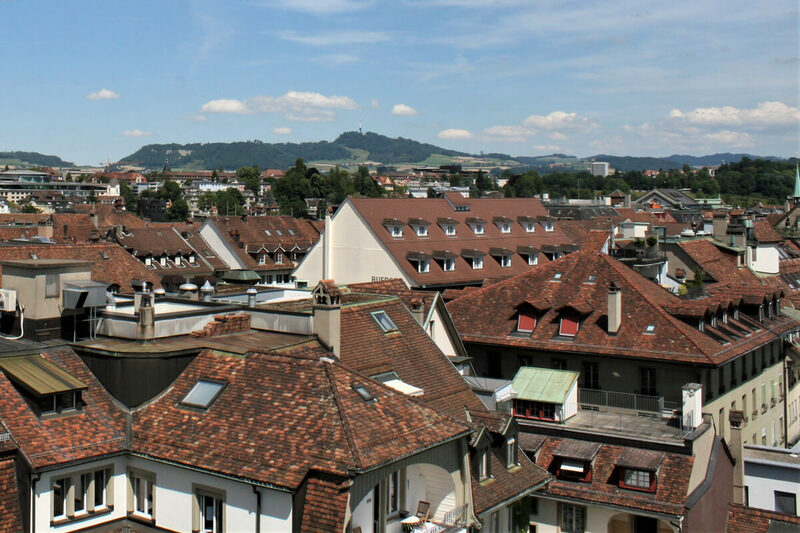 The views of the city of Bern and the nearby Alps are especially amazing from here. You can sit outside and enjoy an array of dishes or sip on some refreshing drinks and get all poetic. As if this were not enough, there is a special "summer beach" made of 150 tons of sand, tropical palm trees and beachy furniture for those wishing for some tropical vibes. The summer beach is open through August 19, so go on a "vacation" soon! How to get there: Simply take the elevator inside the Bern main station and go to the Grosse Schanze. These sprawling lawns in front of the university are a great place for great minds to go to sleep! I did see many with their eyes closed, but to give them due credit, maybe they were just postulating some great theories with their eyes closed. 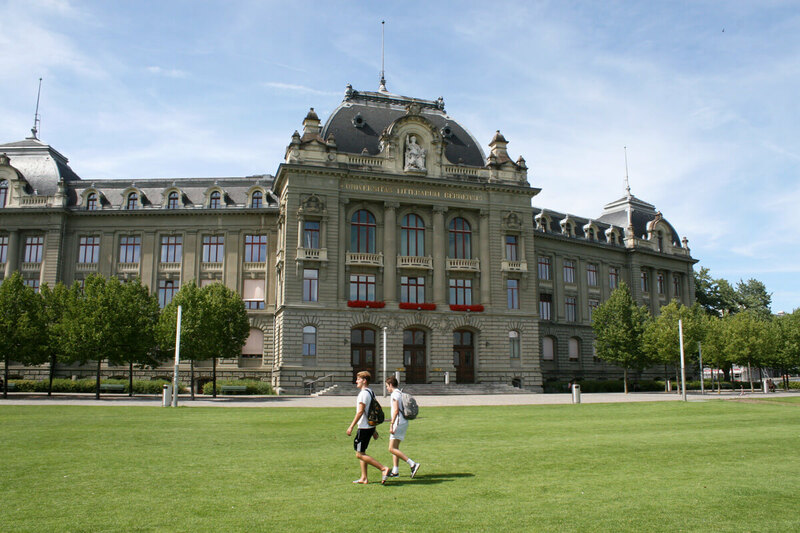 The lawns of Bern University are a nice place for those who wish to rest a bit while laying down on the grass and looking at the clear blue skies. Others may like to sit and look at the university building where the great Einstein himself once taught theoretical physics! There is an energy to the university lawns, and it is a must-go for those seeking rest and enlightenment at the same time. How to get there: The lawns are located right behind the Grosse Schanze. Just walk back, select a spot and close your eyes. Gurten is the go-to place for all the Bernese locals. (And you are most welcome to join them.) It is the quickest and easiest getaway for those seeking solitude or space for a family-outing. 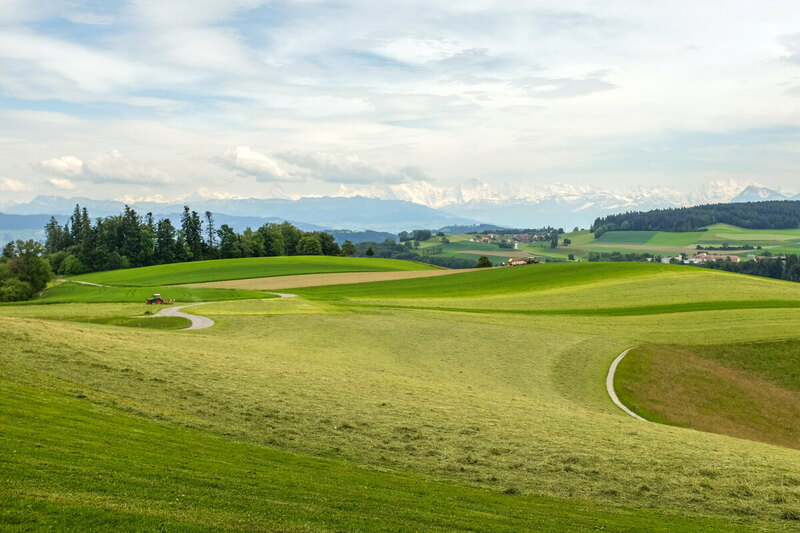 Here is where you get some awesome views of the Alps and the Jura mountains. There is a hotel for those who would like to have an extended weekend. There are restaurants and if the view is still not good enough, how about the lookout tower standing 25 meters tall? What a sight: From atop the Gurten tower, all the big buildings such as the Parliament house and the Münster church look like miniature toys. 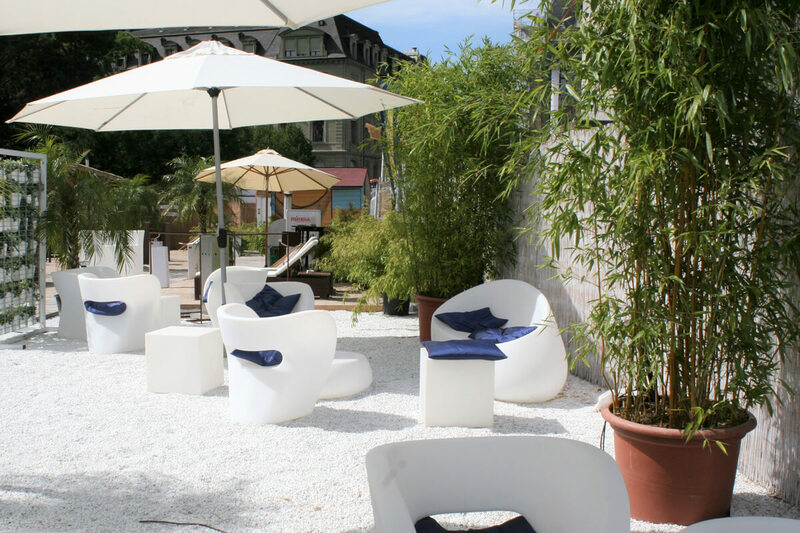 Go, go, go to Gurten and have a gala time! This Bern lookout may come as a bit of a surprise to many. But believe me when I say that it has quite a view! Of course, your reason to go to the Inselspital hospital should definitively not have anything to do with health. But if you are somewhere in the vicinity, why not pop in to the "Panorama" restaurant for a coffee? 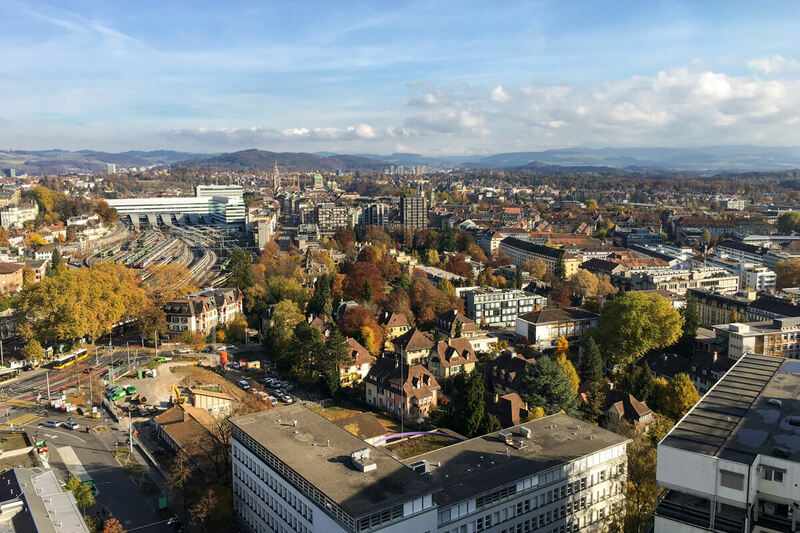 The hospital's restaurant offers a magnificent view of the city of Bern, and you get to look down at the world passing by. You can also dig into their fresh juices and salads if you have an appetite for something healthy. Take your time to walk around on the terrace and you will realize why going there was a good idea. How to get there: Take bus #11 heading towards Holligen and get off at Inselspital. 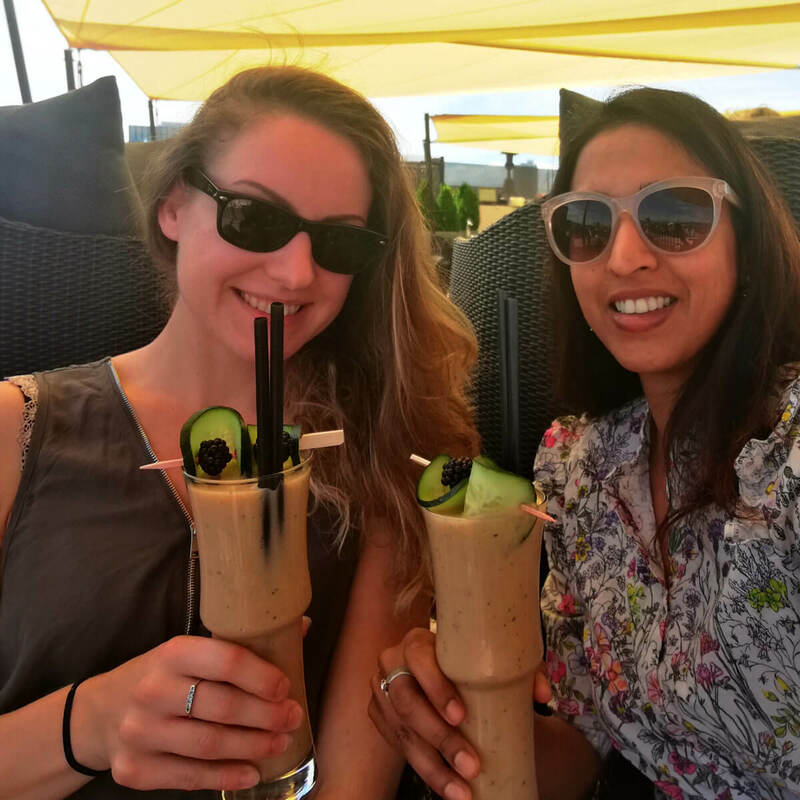 My Newly Swissed colleague Kristine and I went to the SKY Terrace to see what it had to offer. And let me tell you that this hotspot did not disappoint! The one thing we were not too happy about was the fact that we had to leave at some point! The restaurant offers a delicious menu for foodies and views for the creative ones – a perfect match for the two of us! 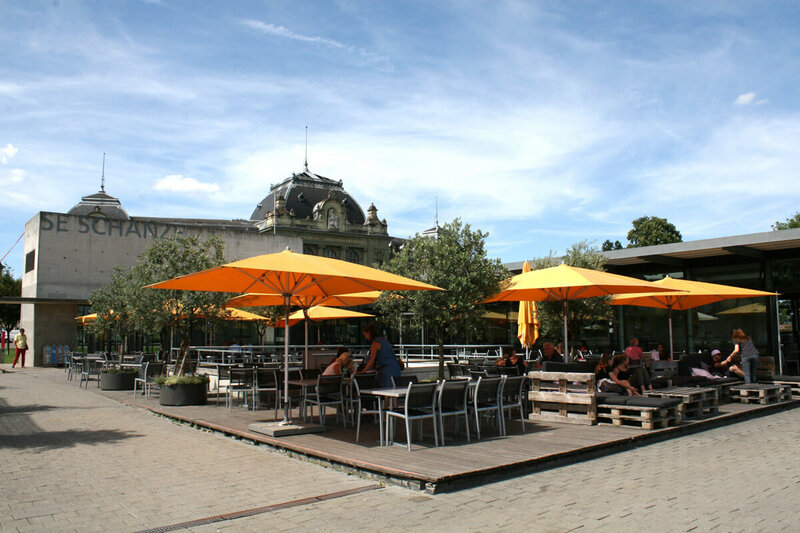 How to get there: The Schweizerhof is very close to the Bern main station. Simpl walk towards Bahnhofplatz 11 and you cannot miss it.